In tribute to the British Large Copper butterfly (Lycaena Dispar). Wiped out in the UK when its natural habitat was destroyed . The Lost Large Copper is the next in my UK extinction series. 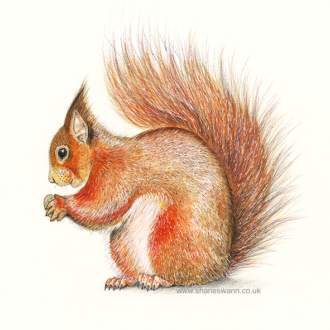 As with the bear and the wolf, I have been creating a series of animal drawings as a tribute to wildlife that we have lost in the UK due to human activity. Hopefully it will help us appreciate what will still have and make people more aware of the effect we have on the environment at home as well as abroad. This butterfly is different from the other drawings in the series because it is part drawing, part painting, where as the other illustrations are solely drawn in fine pen. Also this picture features colour, however it was my intial plan to not use pigment in this series to help convey a somber mood. But I came to the decision to include colour because I felt it was an important factor in conveying the creature’s beauty, and also to make it distinguishable from other butterfly breeds. I had already started work on a large lynx drawing in the same style as the bear, however due to this being such an epic, long task I decided to take a break from it and do something much smaller. 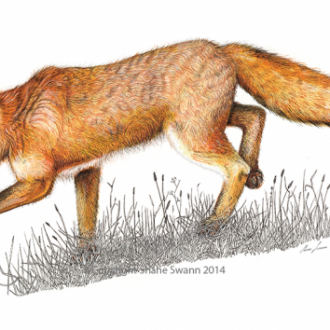 The drawing began with a pencil sketch, taking inspiration from scientific illustrations of the Large Copper and photo references of the continental version of the species, which is rare but not extinct. Once the vague outline had been drawn, I began mixing paint pigment to match the colours of the butterfly as accurately as possible. I filled in just tone and colour over the pencil sketch. Once dry, I began to work the detail in with my fine pen over the areas I had painted. To finish off I added some extra painted detail with a fine brush. History of the lost habitat. 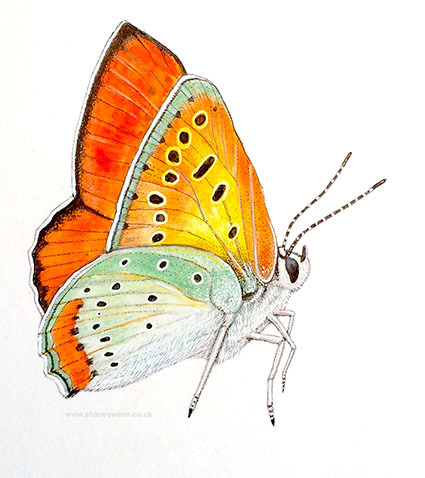 The Large Copper butterfly was last recorded, in Bottisham, Cambridgeshire in 1851, it disappeared after its breeding ground was destroyed by the industrial drainage of 99% of the wild fens. Before this, for thousands of years, the wild fens were a vast sprawling wetland containing lakes, reed beds, marshes, slow dawdling rivers and willow woodland. It covered 3,500 square miles of the East of England (three quarters of a million football pitches in size) and was home to a rich diverse ecosystem. It also contained the largest natural lake in Southern England ‘Whittlesea Mere’, which measured 3.5 miles by 2.5miles. However in the 17th century it was decided that this “wasteland” would be a much more valuable and useful place drained. So a massive project was undertaken to achieve this, by the digging of hundreds of trenches across the whole fen region, straightening rivers and using wind pumps to force the water out to sea. Over time, to keep the water pumping out this grew more mechanised and powerful with the use of steam power, then diesel power and today electric power. By the mid 1800s the fens were mostly dried out and the drainage completely destroyed the natural haven it once was, pretty much wiping out everything that lived there. The landscape was transformed beyond recognition forever! and today there is not even a trace in the land of the once mighty Whittlesea Mere. It has been referred to as the greatest single, human caused, habitat loss in UK history, if not Europe. Animals that once thrived in the fens such as water voles are now an endangered species. The drained fens made way for grade 1 arable farmland and urban development, however tiny fragments were saved and never drained, such as Wicken Fen, Holme fen and Woodwalton Fen, which consist of about an 800th of the original fen area. There are also attempts to try and restore some surrounding areas of the remaining fens to help conserve the remaining fenland wildlife, for example ‘The Great Fen Project‘, which plans to join Woodwalton Fen to Holme through buying up farmland and restoring it back to wetland. Very interesting and also very sad about the damage that humans have done . 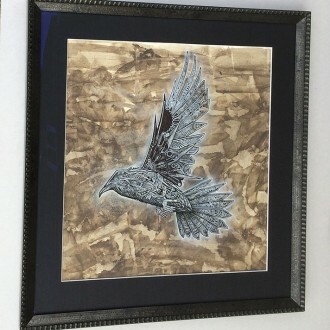 To read about framing of the Robo crow, please go to the gallery section of my site thanks.